MICHIGAN (WTVD) -- Ford Motor Company has produced its 10 millionth Mustang and made the announcement in a big way! Back in 1966, the company had already reached 1,000,000 Mustangs, just two years after beginning to produce them in 1964. On Wednesday, Ford rolled dozens of Mustangs in an assembly plant parking lot spelling out the number: 10,000,000. Each comma represented a Mustang from the past. The first comma was the first Mustang produced and the final comma was represented by a Mustang GT V-8. According to Ford's website, the 2019 V-8 Mustang GT Premium Convertible has an MSRP of $44,855. More information about the car's specs is available online. 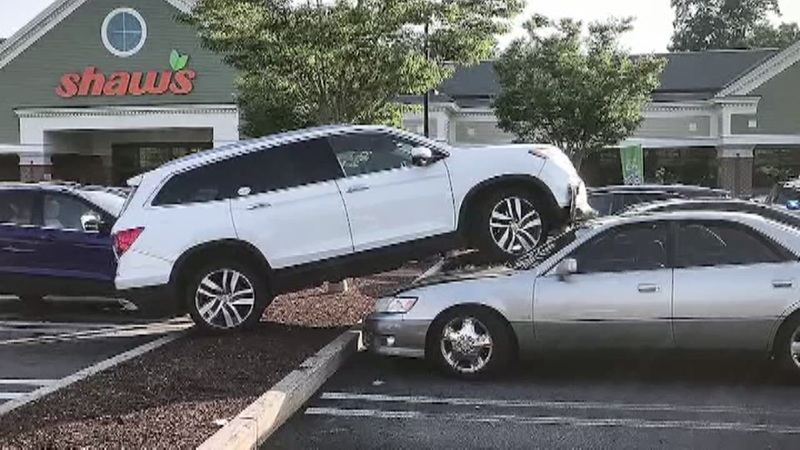 A woman involved in a wild crash that landed her vehicle on top of two other vehicles is blaming her flip-flops.